We’re delighted to be welcoming Piva back to Halsway for a fourth course exploring the Real Roots! of folk music, both the music and the instruments. Discover the world of late 16th century popular traditional music as heard in both court and country. The focus of the course will be playing 4 or 5 part harmony in small groups but it doesn’t matter if you are new to this music or an experienced renaissance specialist; sessions will be adapted to suit all levels. The underlying theme of this year’s course will be the music of Michael Praetorius. From his simple dance pieces through to his larger multi instrumental arrangements, there will be plenty of opportunities for all levels of players to experience his music. 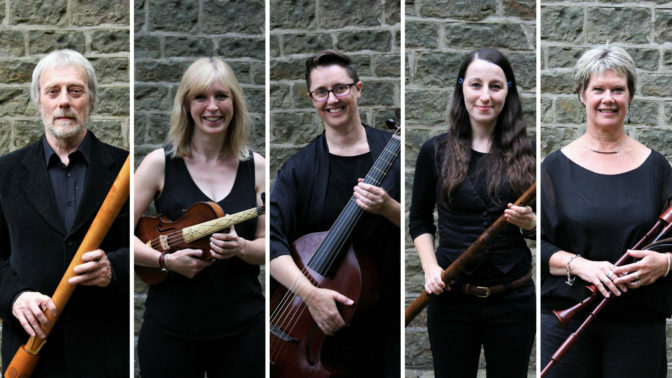 As always, a particular feature of the course will be the opportunity of “having a go” on Piva’s extensive range of instruments, including renaissance recorders, crumhorns, bagpipes, viols and curtals. Following the previous Piva courses at Halsway, people have taken up the violin, bagpipes and shawm! Arrive in time for lunch on Monday (1pm) and depart after a cream tea (4pm) on Wednesday. The course is suitable for players of woodwinds, reed instruments, historical brass and string (ancient and modern), as well as other instruments such as bagpipes & nyckelharpa. Please let us know your instrument(s) when booking your place, and we can check with Piva if you’re unsure! Participants should be competent on their instruments and have a reasonable sight reading ability. As usual, Piva will give a concert on the Tuesday night. Piva will be in performance on the Tuesday night; click here for more information.